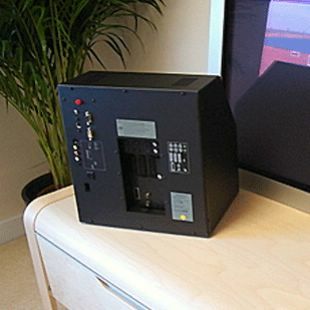 This was the Audio Visual processor designed for use with the Beovision 4. It contained all the connections necessary to make it the hub of an integrated Beolink system. Controlling one or two boxes (2 x STB) 1 box control by use of the IR-blaster included in the kit. and IR Y-adaptor (6174171) and one more IR-blaster (8330352). 50 x 56 x 40 / 23 kg. System Modulator 1 x 75 ohm aerial male (splitter/system modulator output).